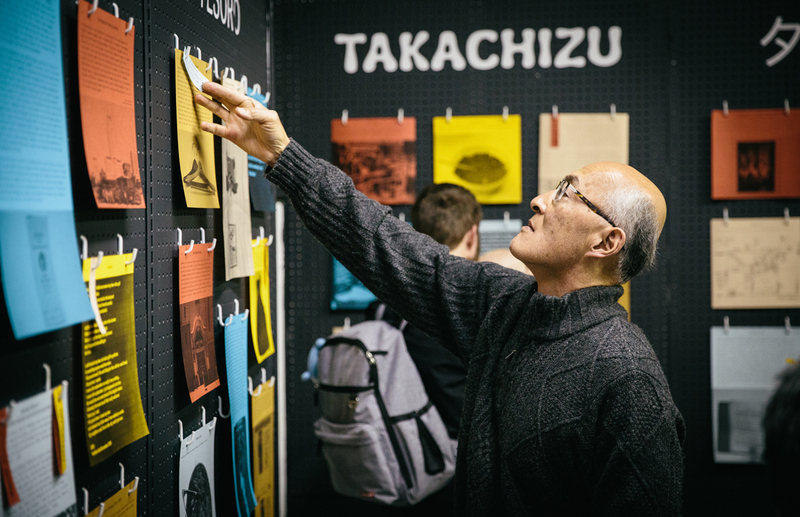 Takachizu = Treasure Map. 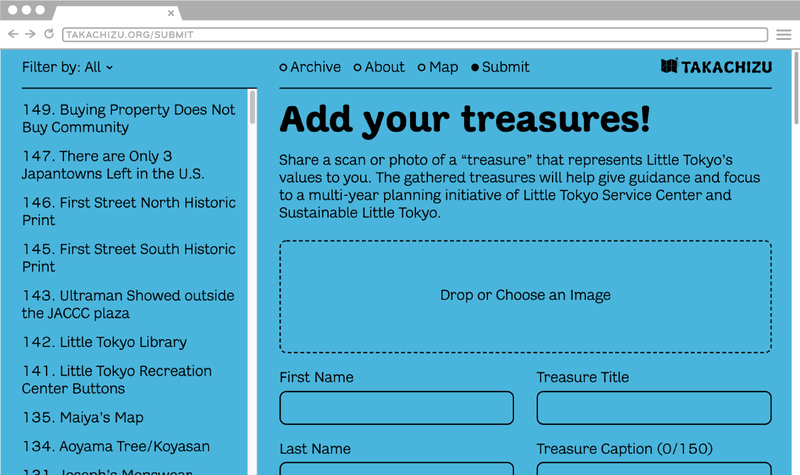 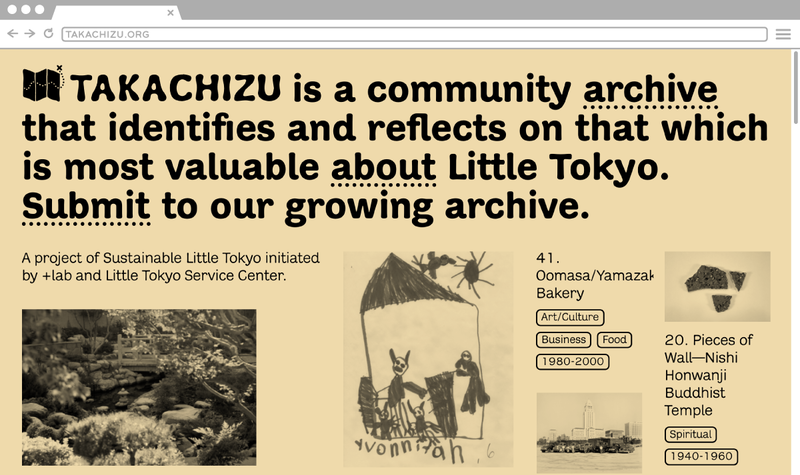 In 2017, I worked with Little Tokyo Service Center to open a museum with nothing in it. 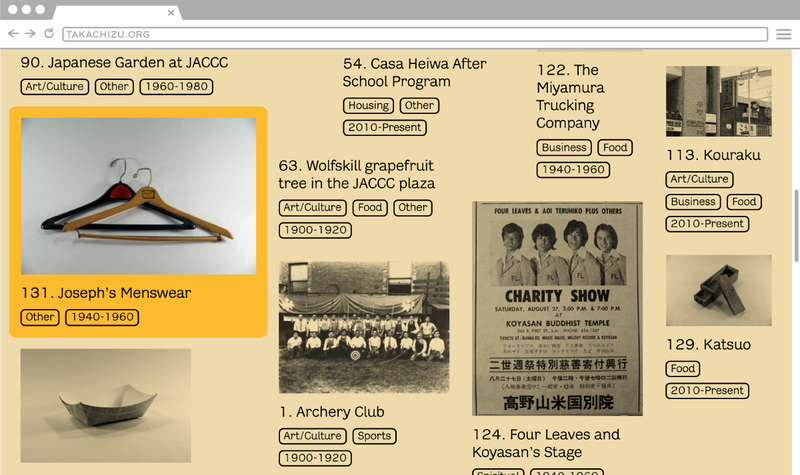 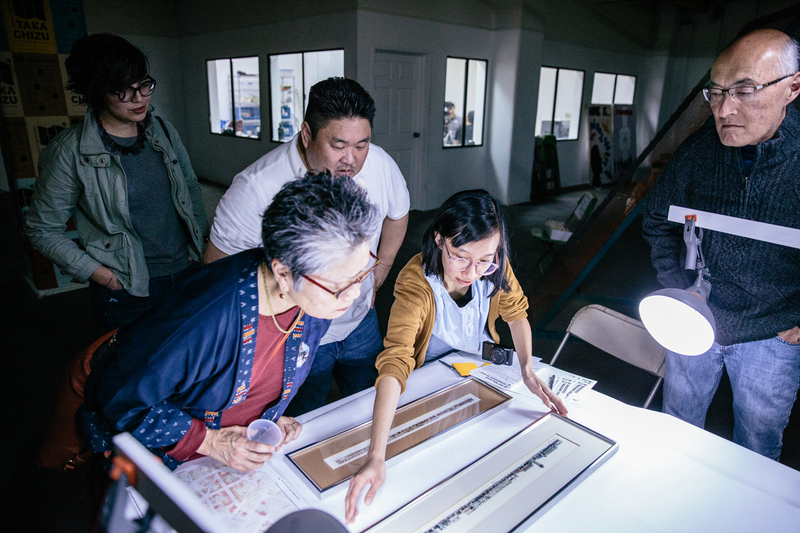 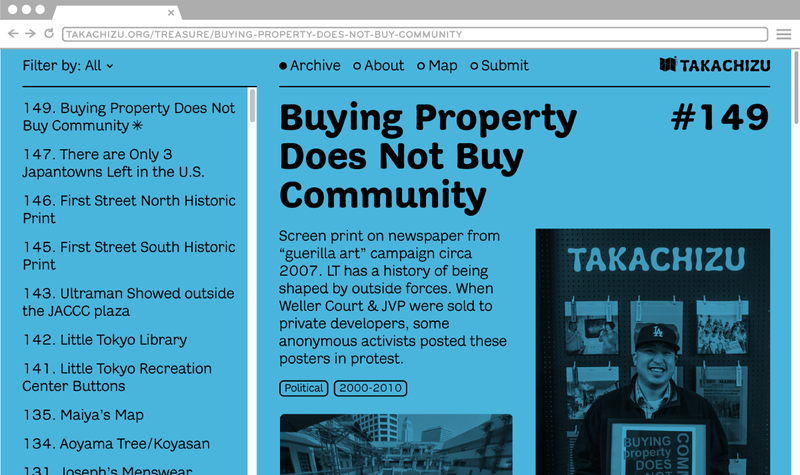 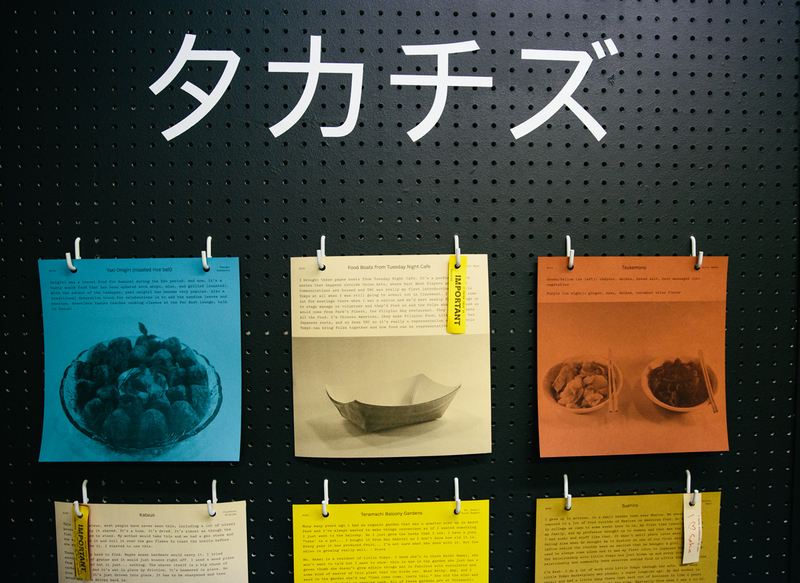 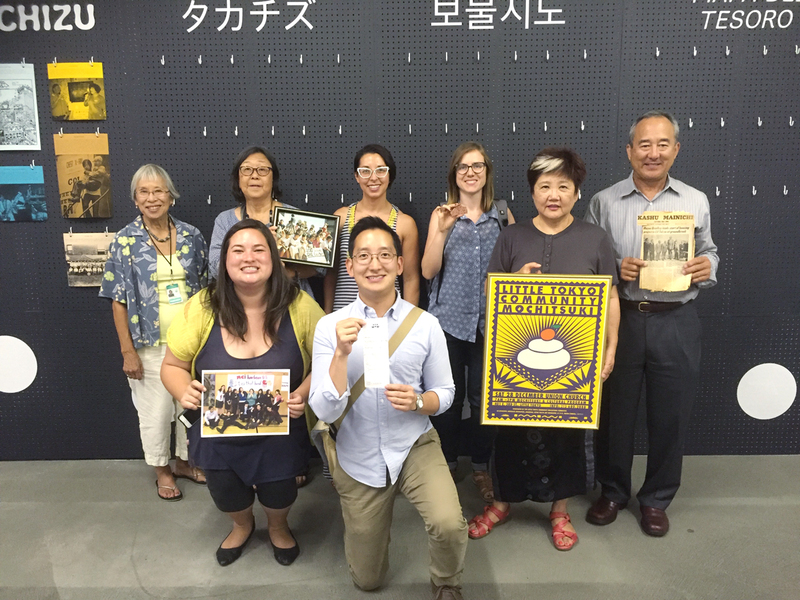 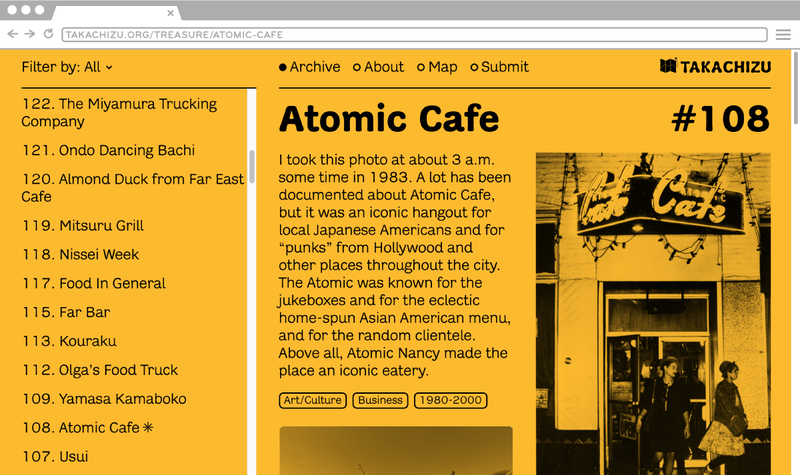 Over the following year, Little Tokyo residents brought objects of personal or communal significance from Little Tokyo to be documented and described. 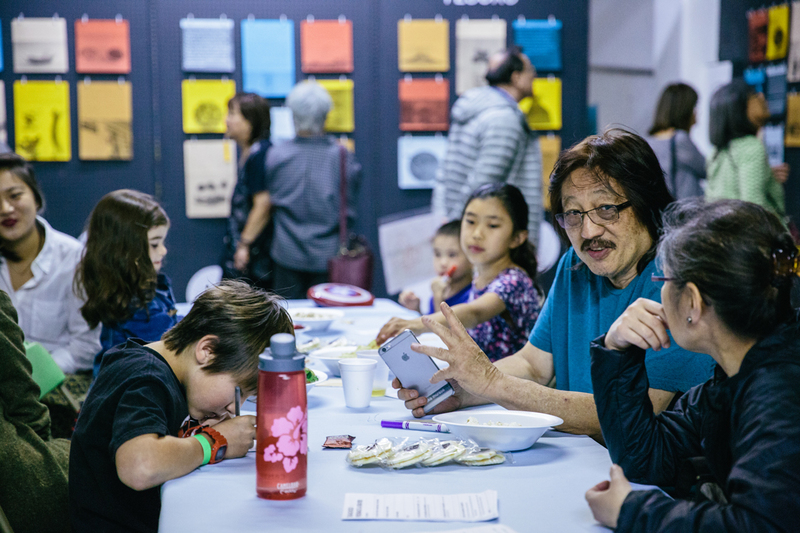 Community show and tell events created spaces for intergenerational conversations about the neighborhood, its history of forced displacement and hard-won return, and strategies for surviving and thriving into the future. 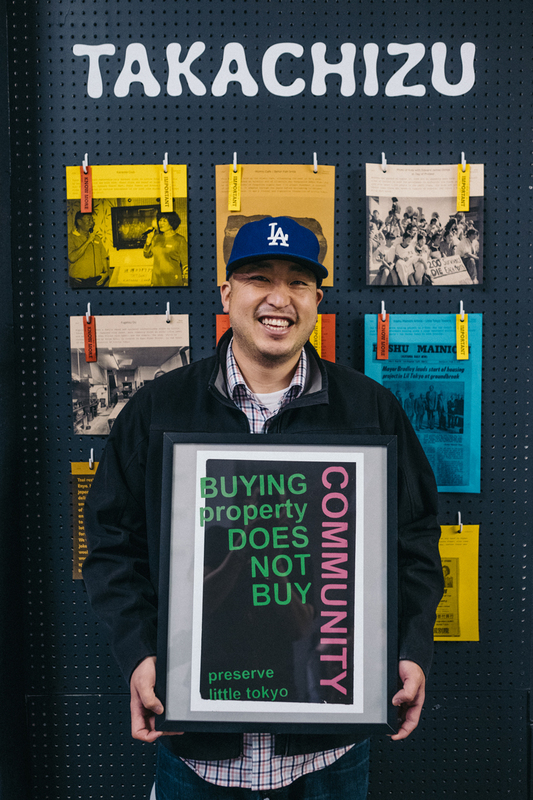 As the year progressed the space filled with community treasures. 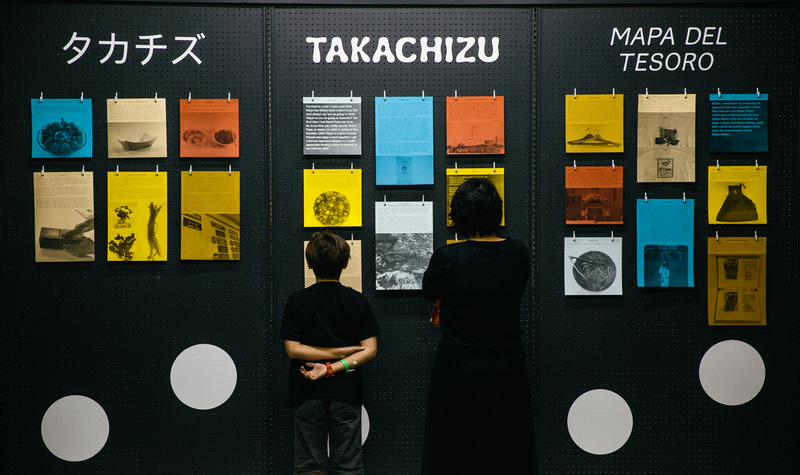 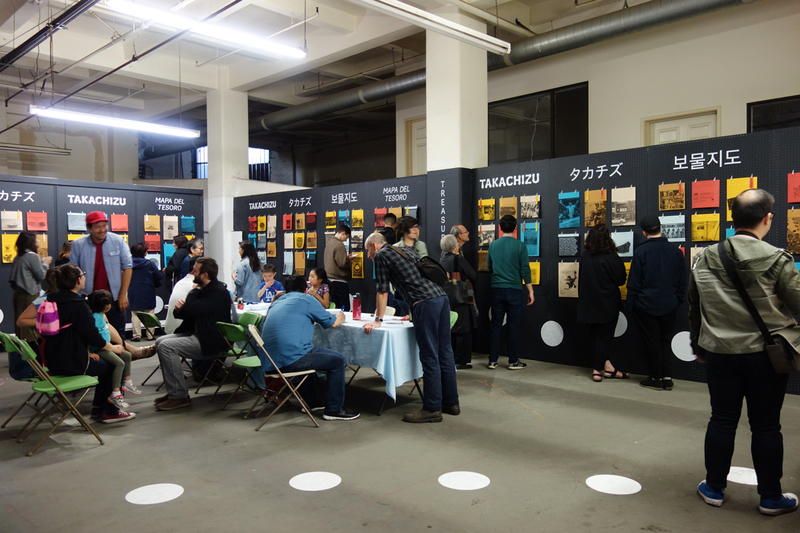 Takachizu events included screenings of narrated home movies curated by Visual Communications, performances by Hirokazu, and community show-and-tells on themes of economy, food, spirituality, political history, theater, sports, housing, and aging in place. 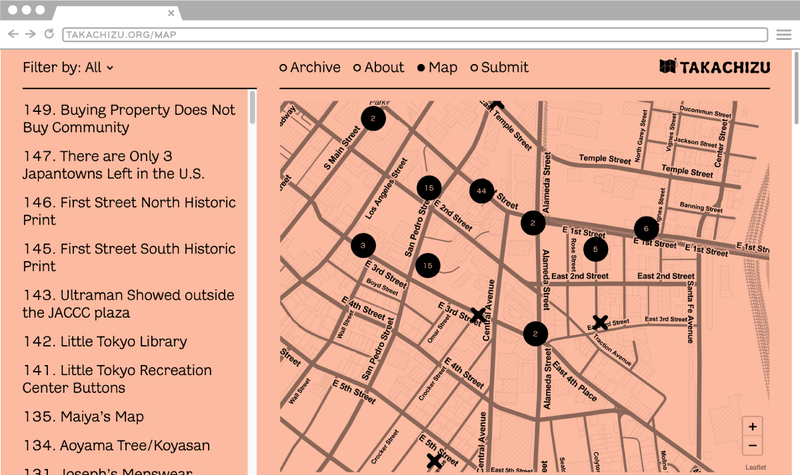 This project was commissioned by Little Tokyo Service Center and Sustainable Little Tokyo in the service of grounding a long-term political and cultural strategy for a thriving neighborhood, one of the United States’ last remaining Japantowns in the midst of a downtown real estate boom.